If you order this product, along with other items which are in stock, your order will only be sent if everything is available. If you want a product that it is in stock, please place it in a separate order. 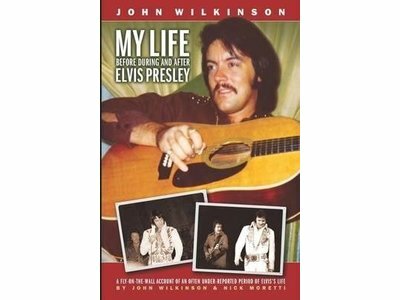 John Wilkinson played rhythm guitar in Elvis Presley's TCB Band from his first return to live performance in 1969 until his last in 1977, never missing a show. John's experience is a unique one, a musician's experience with a rich folk background leading up to the greatest gig on earth. 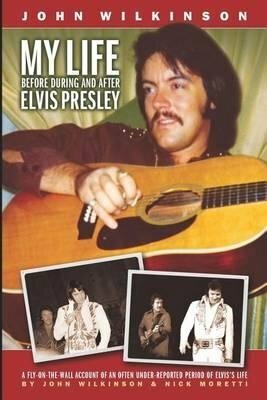 Elvis fans will love John's candid, thoughtful and affectionate memories, revealing an Elvis Presley that is both legend and human. John's life story is entertaining and amazing. I came away from the experience (and the reader will, too) feeling I knew Elvis Presley and that he was a really nice man who would have been very nice to me and (hopefuly!) liked me. When I approached John for the idea of this book, one of my personal missions, in addition to telling John's own story, was to show Elvis Presley as a human being during the 1970s, when he's most often misrepresented. John clears up everything and reminds us that even on an off night, Elvis Presley never failed his fans. Enjoy! Author Nick Moretti has been a writer (and reader) literally all his life, writing short stories as a child, writing and performing short plays in high school, working as a journalist and editor for 10 years and finally, writing, and directing his first feature film, "The Haunted Heart." 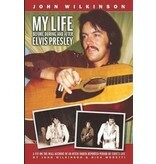 "My Life Before, During and After Elvis Presley," co-written with John Wilkinson, is Moretti's first published book. In addition to non-fiction, Moretti continues to write fiction, and is currently in preproduction on his second film, "The Ghostway."